You'll want to stock your freezer with croissants for when your next sweet craving hits. These incredibly easy-to-prepare treats are filled with a simple cream cheese and cinnamon sugar stuffing that's absolutely delicious. Stir sugar with cinnamon until combined; set aside. Preheat your George Foreman Grill for 5 minutes with the lid closed. Meanwhile, slice croissants in half without cutting all the way through. 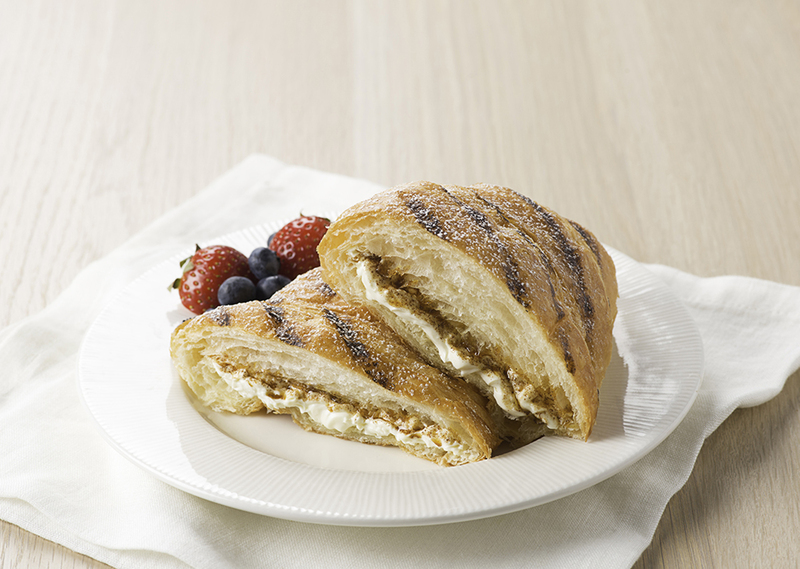 Spread cream cheese evenly on bottom half of croissant and sprinkle 1 tsp cinnamon sugar over top. Cap with top half of croissant. Place stuffed croissants on grill and cook for 2 to 3 minutes or until filling starts to ooze. Dust croissant with more cinnamon sugar. Tip: Serve with mixed berries, if desired.